The Pharaoh in the time of Moses was a hard, stubborn and ruthless man. His heart was very hard and the Lord hardened his heart even more so. He would not initially allow the Hebrews to leave Egypt but after ten horrific plagues, the Pharaoh forced the Hebrews to flee and they took tons of gold, silver, precious stones, flocks, herds and clothing as payment for many years of unpaid slavery. They were not slaves when they first went into Egypt, but after Joseph died and a new Pharaoh arose, the Hebrews were then forced to be slaves. In spite of their slavery the Hebrews had so many children, at one point in time the Hebrews outnumbered the Egyptians. 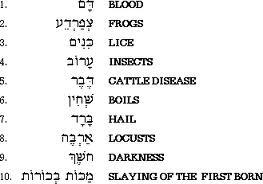 The ten plagues were divine judgement on a very idolatrous nation. WHAT THE BIBLE MEANS BY ALL FLESH In the Bible, the term all flesh is used according to the context in which it is placed within the Word of God. Sometimes ‘all flesh’ means every living thing on earth including what lives in the ground such as insects and grubs, plus all plant life. Other times ‘all flesh’ means only people and domestic animals. Sometimes ‘all flesh’ is only people, leaving everything else untouched. 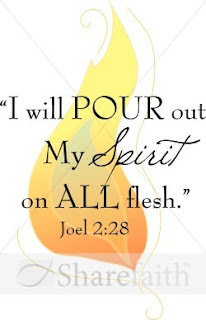 On one occasion in the Old Testament, ‘all flesh’ meant only dedicated Christians that were to arise in the New Testament after the resurrection of Jesus and the outpouring of the Holy Spirit.